I can’t post my whole colouring picture because I am trying very hard to keep it secret so that people will buy the book when it is ready. I just sooo much love to share my work, so here is a teeny sneak preview, which you are welcome of course to colour in for free. The rest of the picture will appear in my next book, which I am planning in paperback, and PDF formats. It is part of the Circles series, so the Tuatara is actually part of a larger circle-shaped geometric/knots style of picture. 😀 Those childhood memories are precious aren’t they? Cool! It’s like a little dragon, don’t you think? It tickles me that it is not actually a lizard! Wow, total flashback to primary school! 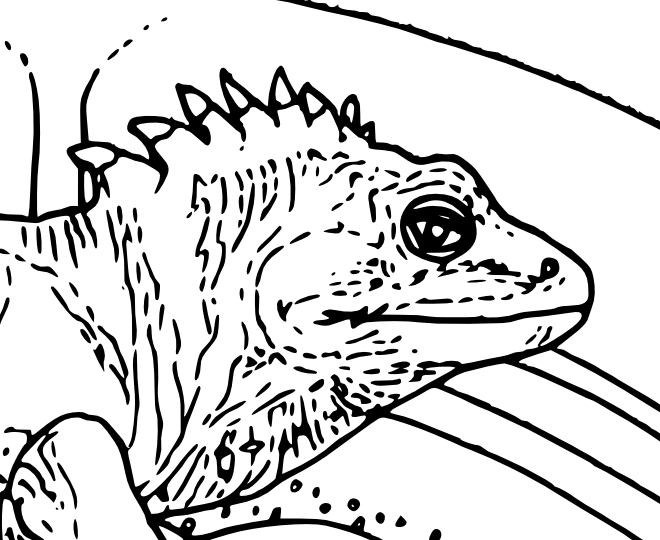 I did a project on the Tuatara!